Roll up to Japan’s luxury resort Hoshinoya Tokyo this spring and enjoy a picturesque night cruise surrounded by cherry blossoms. “Tokyo Yozakurabune Asobi” will be held from March 25th to April 10th. During the Edo period, canals were built to transport people and goods via boats. Wholesale stores and markets were born from this, centered around transportation over the waters, and the town became more lively due to the establishment of more restaurants. The “Tokyo Yozakurabune Asobi” activity offered by Hoshinoya hopes to replicate that same Edo feeling in modern-day Tokyo. 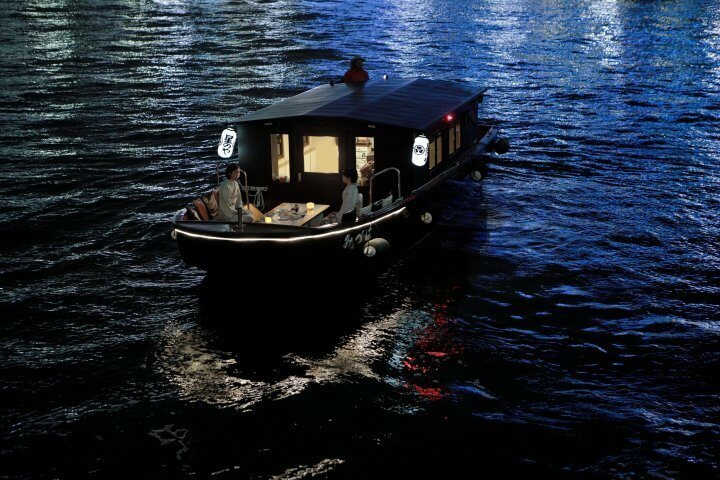 The boat will depart from Nihombashi Pier, just 5 minutes away from Hoshinoya Tokyo by car. The cruise will last 60 minutes and take you across Nihonbashi River and over to Sumida River. During that time, you’ll be able to soak up the breathtaking view of cherry blossoms at nighttime along the coast of Tsukuda Island and Oyoko-gawa River. The cherry blossoms stand out against the twilight and reflect against the shimmering water together with the buildings of the city, creating a truly magical scene. Dress up in a kimono decorated in the colours of spring and style your hair and make-up for an even more immersive experience. 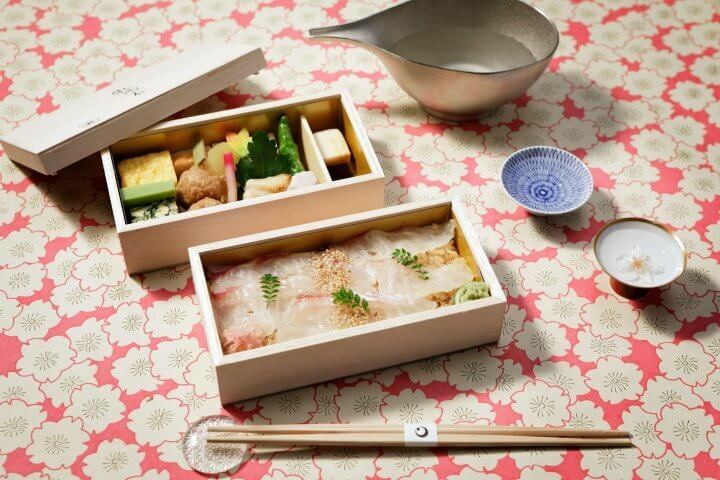 While enjoying a visually striking hanami (flower-viewing) bento courtesy of Shin-Kaika in Myojinshita Kandagawa and sake, you’ll be able to take in the city’s nightscape and dreamy cherry blossoms. When evening sets in, the boat will depart from the pier at Nihonbashi. From there, it will take you down Nihonbashi River and towards Sumida River. 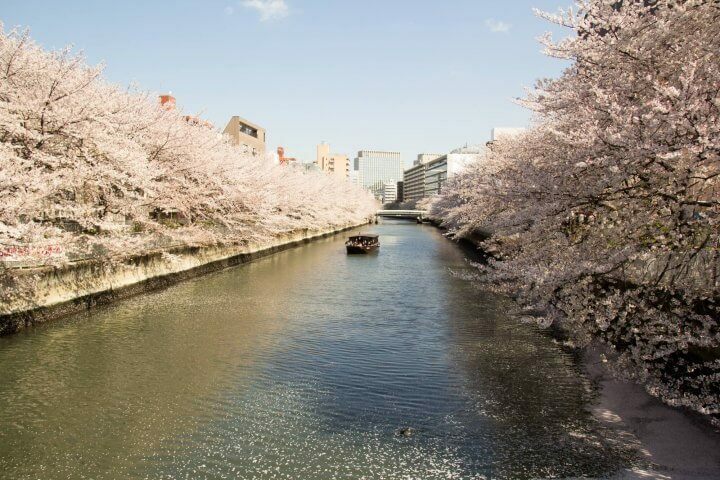 You’ll have the opportunity to see around 10 different cherry blossom locations along Tsukuda Island and Oyoko-gawa River. The event will take place when the tide levels are just right and when the cherry blossoms are in full bloom. Night will fall steadily, enabling you to glimpse at the night skyline of numerous famous tourist spots including skyscrapers, an illuminated Eitai Bridge, and Tokyo Skytree. A guide from “Riverboat Mizuha” will also be on board who knows everything about Tokyo to introduce the history of the bridge and town. To fully lap up the special occasion of hanami (flower-viewing), complete sets of silken kimono will be available for renting. You’ll need to request beforehand, but the kimono come with appropriately selected flower designs. 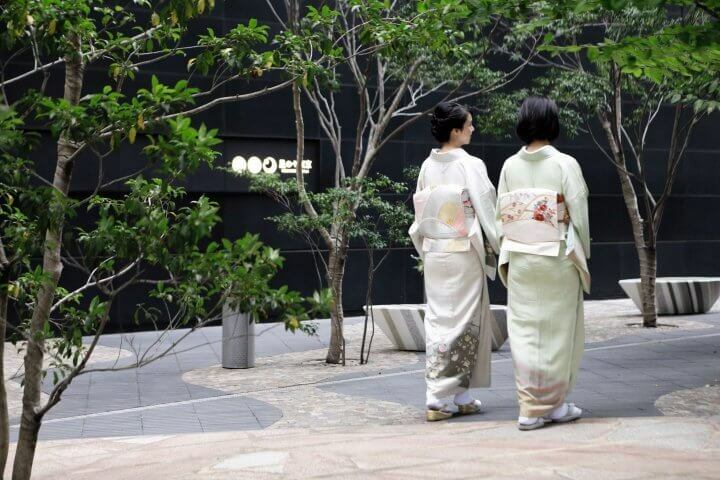 You can get them fitted at Hoshinoya Tokyo along with your hair and make-up. If you like, you can even wear them early to go strolling around Tokyo and visit the city’s famous cherry blossom spots. A hanami bento prepared by long-established shop “Shin-Kaika” in Kandagawa will be served. It will include cherry blossom pink coloured chirashi sushi and a new springtime brew of sake. When you return from your boat trip, hanami dango and matcha will also be served. A night cruise in Tokyo surrounded by cherry blossoms – what better way to spend your time in Japan? Event is limited to guests of Hoshinoya Tokyo. *Guests must make their own way to Nihombashi Pier. *The activity schedule is subject to change depending on the tide level. *The full-bloom season for cherry blossoms changes each year. 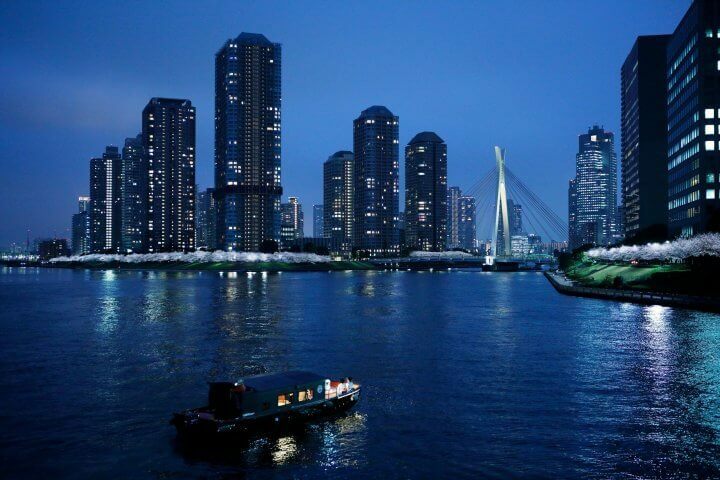 Sip champagne and cruise along the riverside with Hoshinoya Tokyo’s guest plan!